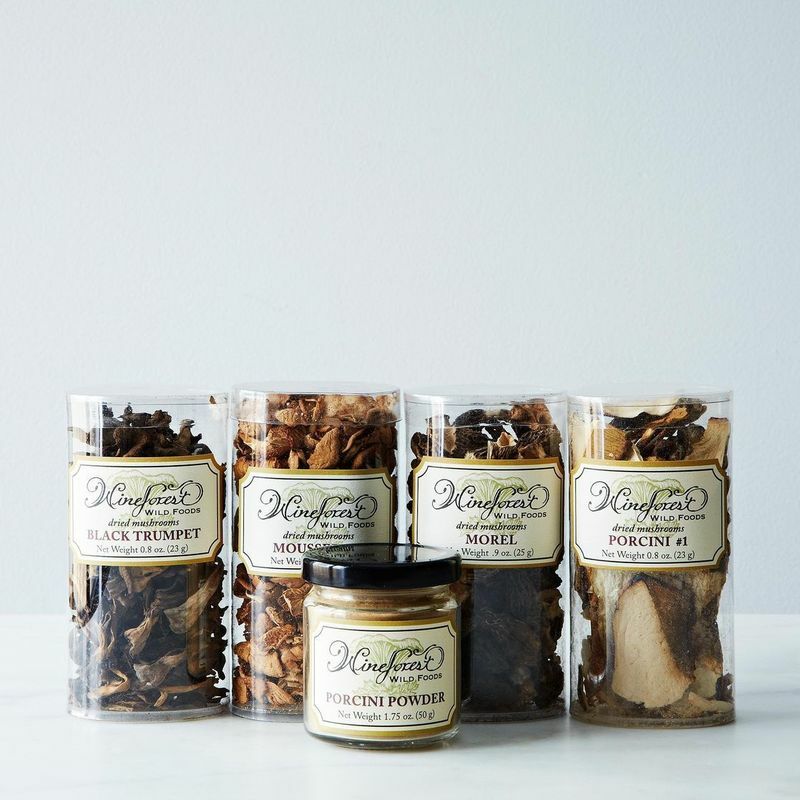 Every spring since the beginning of your cooking life, you’ve heard the same chipper siren call: IT’S TIME TO REORGANIZE YOUR PANTRY! And if you’re like most cooks, you either drown it out with NPR so as to avoid this chore, or see it as your deluded pathway to life happiness—if your pantry were more organized, your life would be so. much. better. But here’s the problem with this domestic charade: It’s based on cooks seeing their pantry as a place to store ingredients. And if you see your pantry in this way, you’ll forever be in a losing battle (with occasional wins) trying to straighten it up in order to feel better about its clutter. 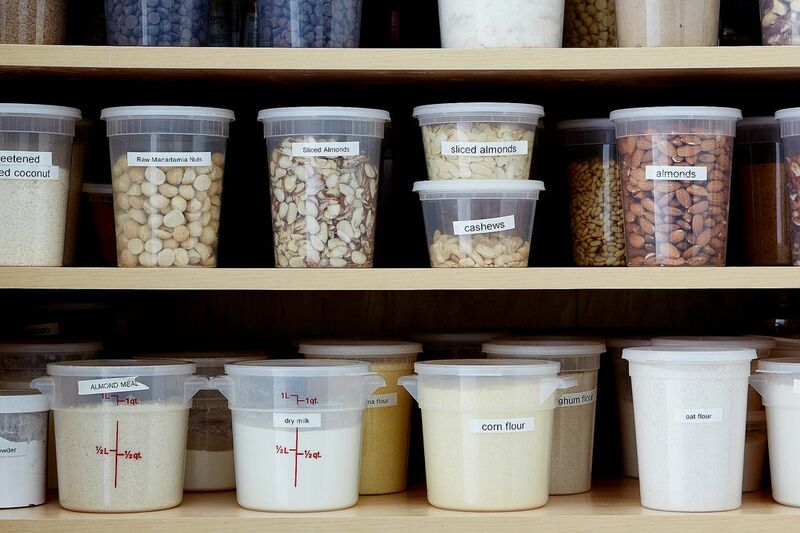 Your pantry shouldn’t be a storage unit—it should be a tool kit. It’s not where you put things to keep them off your counter. 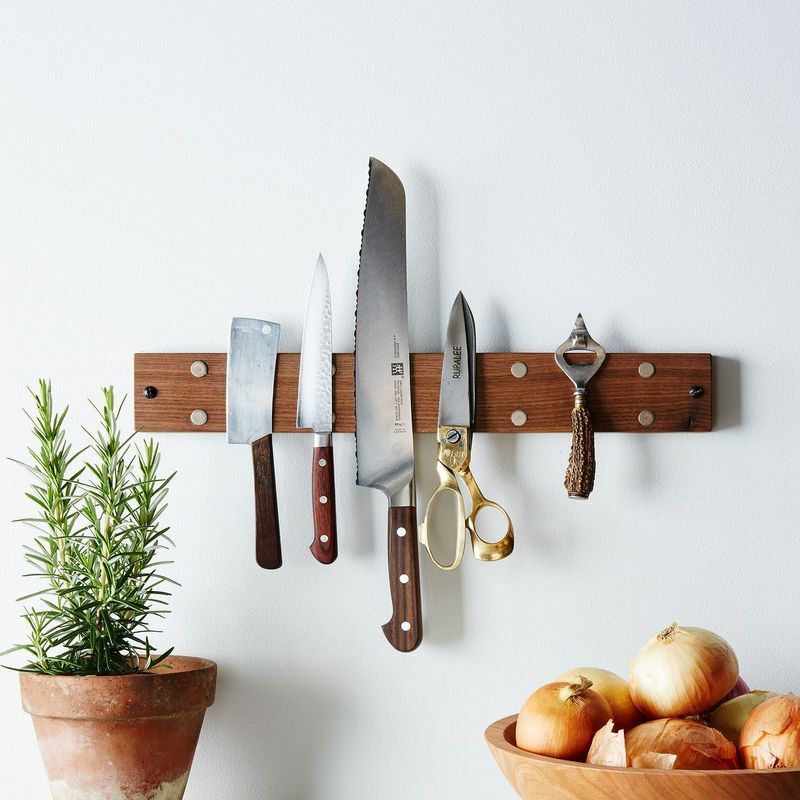 It’s where you have all of your best culinary weapons at the ready to help you in the kitchen. How you design your pantry and arrange your tools should be focused on making your cooking more efficient and inspiring. 1. The ideal pantry has adjustable shelves. Many contractors will put holes in every few inches, but I like more flexible storage with shelf holes drilled every 1 1/2 inches (vertically from the top to the bottom) and lots more shelves than most contractors will plan for (ask for extra!). If you have a shelf that you’re going to fill with 1-quart containers (see next tip), you should arrange the next shelf up just an inch or two above the tops of the containers. Add the shelves as you stock your pantry, not the other way around. This way you maximize your space. If you already have a pantry, you can always have more holes drilled and more shelves made—this can be a fairly low-cost upgrade. 2. Buy lots of tins, containers, jars, and a set of wet-erase markers. 2-quart, 4-quart, and 8-quart containers for flours and larger amounts of grains. 3. Arrange by frequency of use. While you’ll want to arrange ingredients by type—beans, nuts, baking needs, cereals, canned goods, etc.—you should arrange these sections by how frequently you use them. Think of your ingredients in 3 levels of use frequency: Level 1 are the ingredients you use most; level 2 are those you use frequently but not daily; and level 3 are those you use now and then. If you have a level 4, put these ingredients in the garbage. (Just kidding, but not really.) Arrange level 1 at eye level and chest height so you can reach for them effortlessly. Put level 2 on your lower shelves, and level 3 on your upper shelves (if you need a ladder for something, it should be an ingredient you don’t need often). I’m a strong advocate for uniform, well-labeled, and clear storage containers. This brings me to another important consideration: ladders. Having a step ladder that’s handy and easy to open and close, or a good step stool, is key to making sure your level 3 ingredients in Ingredient Siberia don’t get neglected. 4. 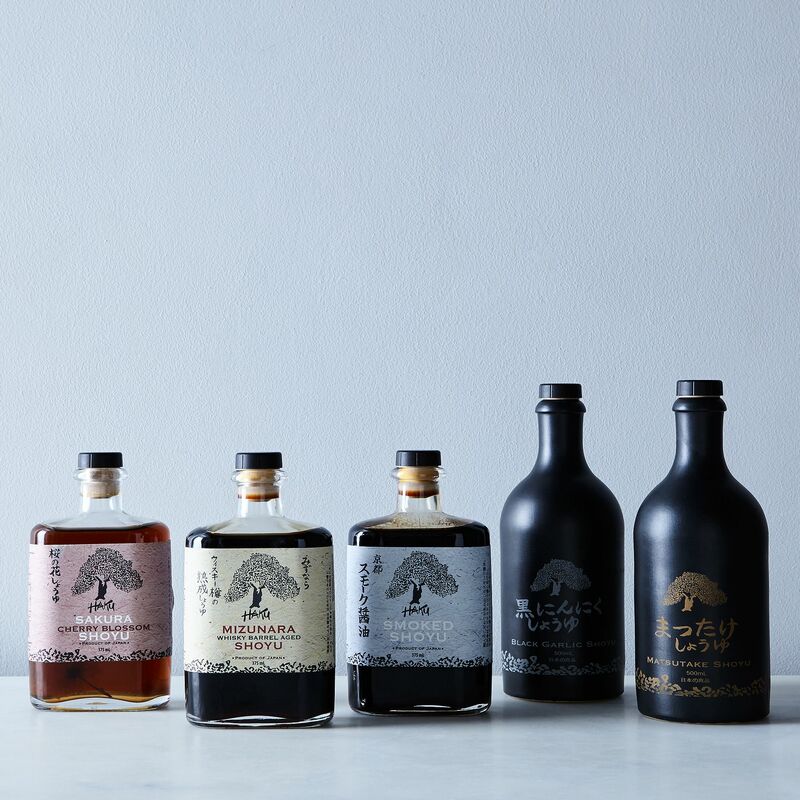 On each shelf, apply a similar level-to-use system. 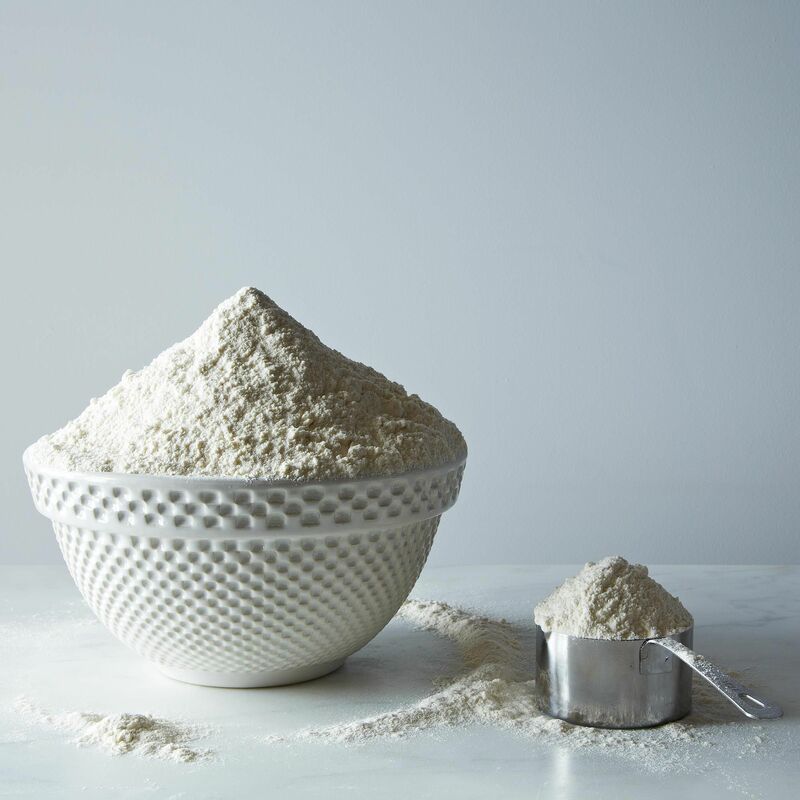 On my baking shelf, for instance, I have my all-purpose flour and sugar positioned together on the left, so when I’m baking, I can easily grab both in one fell swoop—no digging around or rearranging required. In my spice drawers, I keep all baking extracts, baking powder, and baking soda together because you often need two or three of these for a recipe, and I can efficiently gather them. This may sound minor, but it really speeds up your cooking. While you're cleaning out the pantry, check for expired items, toss whatever's gone bad, and refresh your supply. Spices: I find that putting spices in drawers or on pull-out shelves works best. 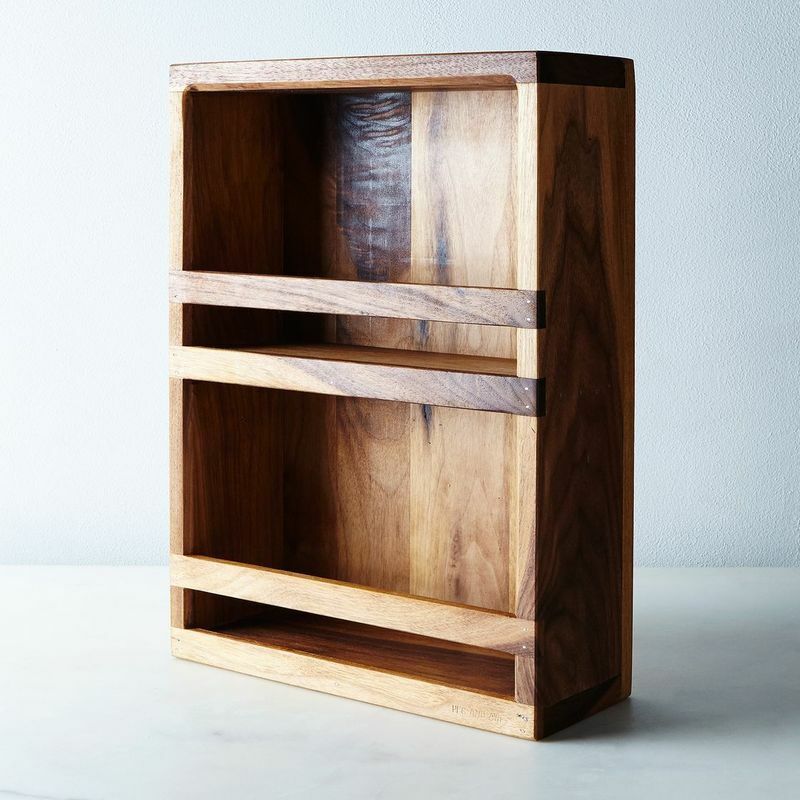 If you’re designing a pantry, shallow pull-out shelves—the pantry equivalent of architect drawers—are great, because you can fill them with spice tins which are easy to read. 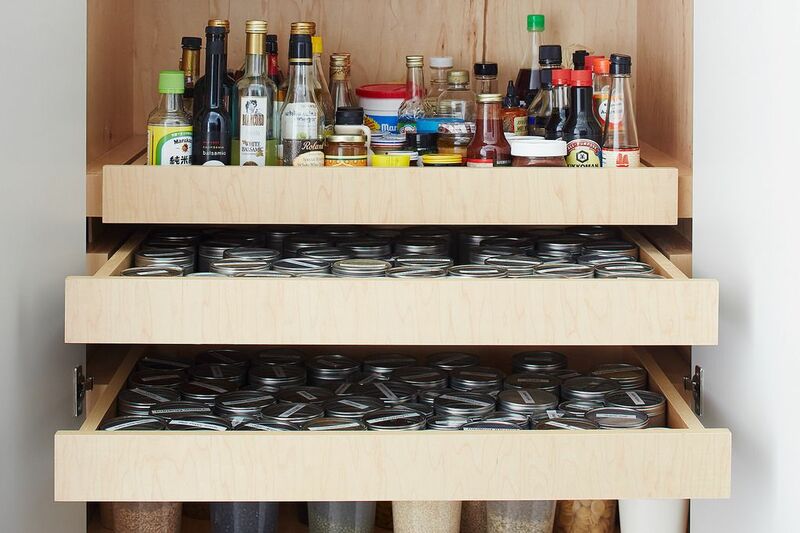 In the Food52 kitchen, we planned for two spice shelves, with one that was deep enough to hold extracts. 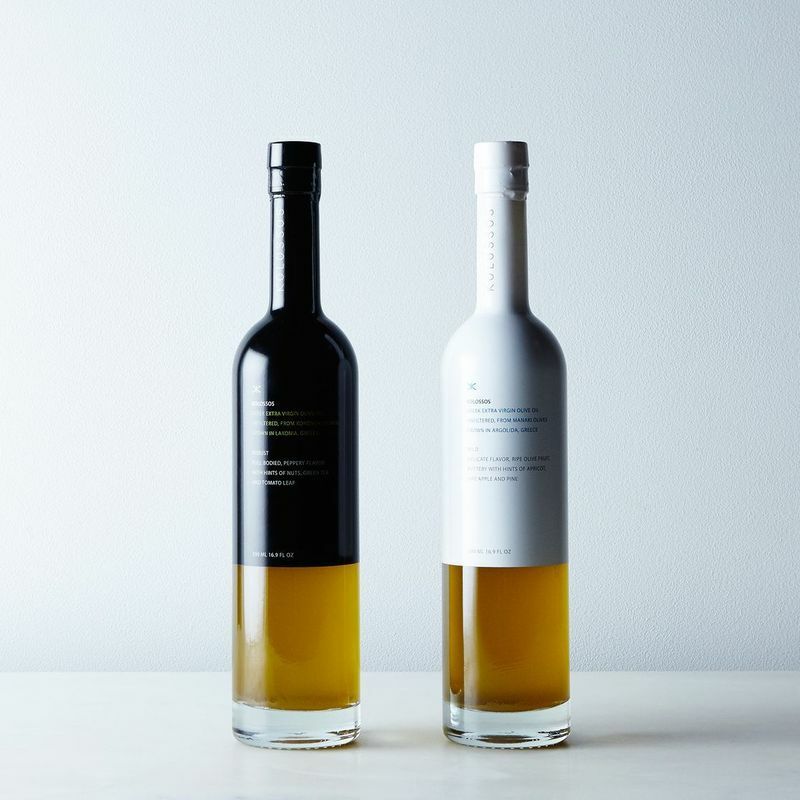 Oils and Vinegars: If you have the space, a pull-out shelf for oils and vinegars is helpful so you don’t have to dig around among easy-to-tip bottles. One note of caution about pull-out shelves is that you lose at least 4 inches of space on either side, where the drawer mechanisms reside—do account for this when designing your pantry. 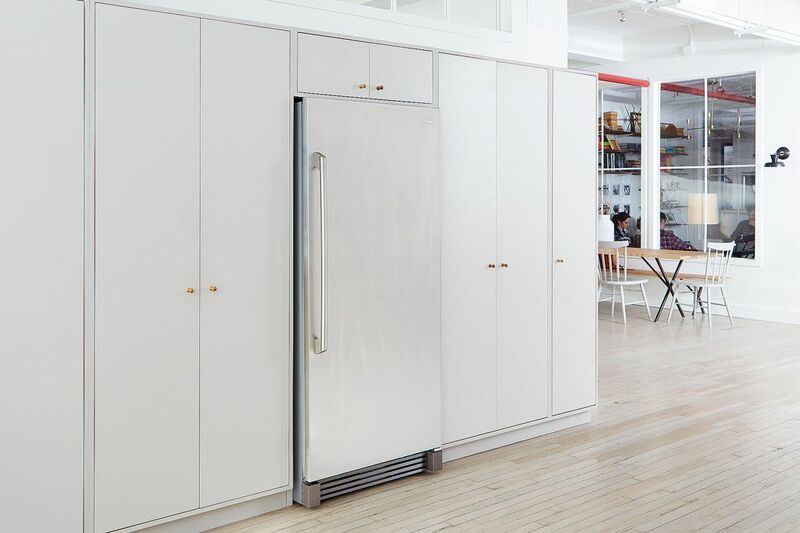 The pantry in our office has tall cabinets with adjustable shelves and a roomy freezer—and right around the corner is the test kitchen. 5. Try to avoid stacking where possible. Stacking leads to spills and it also means you have to UN-stack in order to access ingredients. This is where having lots of adjustable shelves (see above) really transforms your pantry into a tool kit. 6. Keep dwindling supplies towards the front. 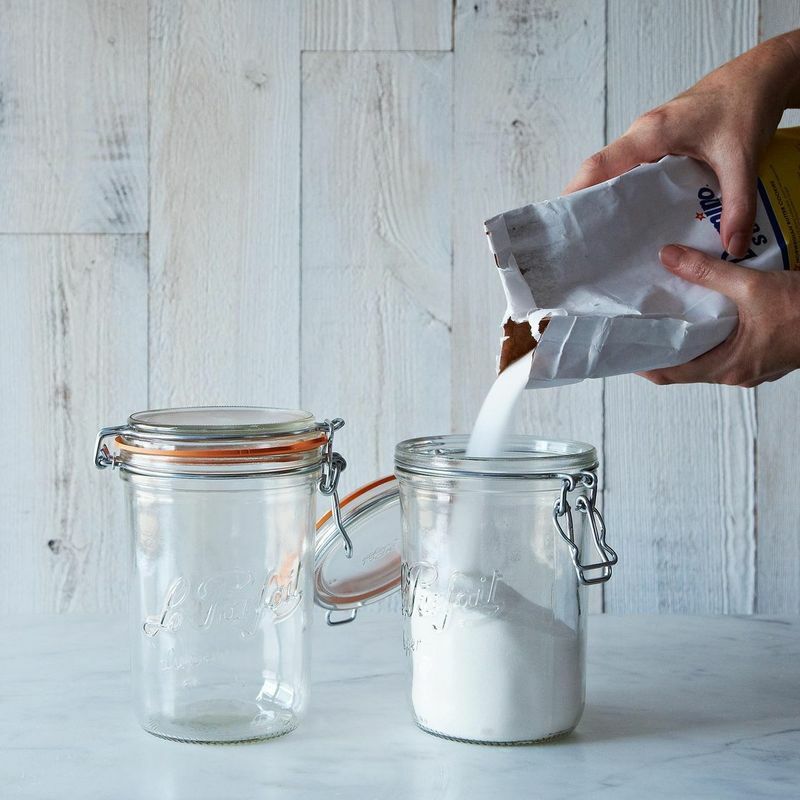 When you buy something like a new jam or mayonnaise, don’t place it at the front of the shelf—first see if there’s already jam on the shelf, and if there is, place the new jam behind the older jam. It’s a good habit and keeps your tool kit ecosystem healthy and up to date. Extra Credit: Read The Life-Changing Art of Tidying Up. 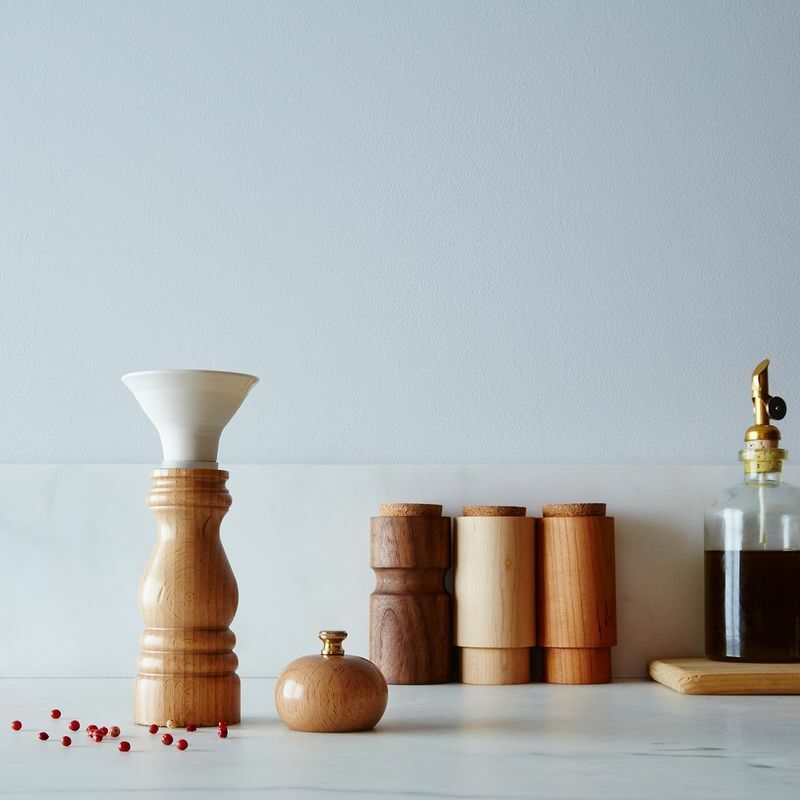 Marie Kondo’s global movement to get people to do away with everything but the objects that make them most happy applies to your kitchen and ingredients as well. If an ingredient doesn’t give you joy or the possibility of future joy, it doesn’t need to weigh down your newly refreshed tool kit. Toss it, and allow the stash of cocoa that you love so much shine brighter, beckoning you to make cookies. 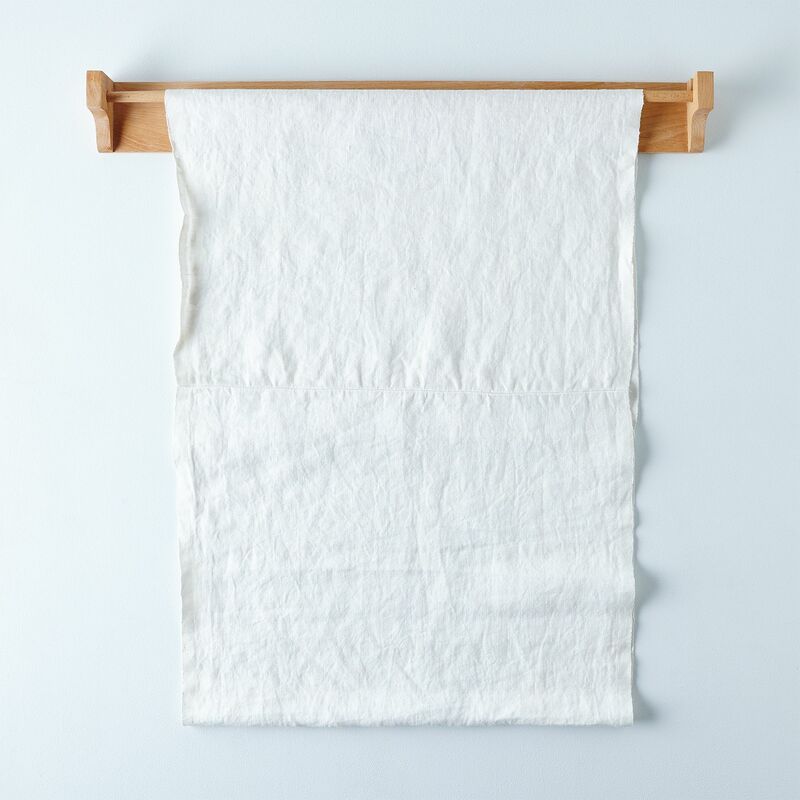 This post originally ran last summer but we brought it back to help with this year's spring cleaning—enjoy! I also date everything when I put them in containers. Esp spices and baking goods. I make extensive use of lazy susans in my pantry which is about 8'X7'x2.5'. You can get 24" diameter lazy susans and on down from there. Their value is that everything stuck in the back or up too high spins to arrive right at your fingertips. Hi there! 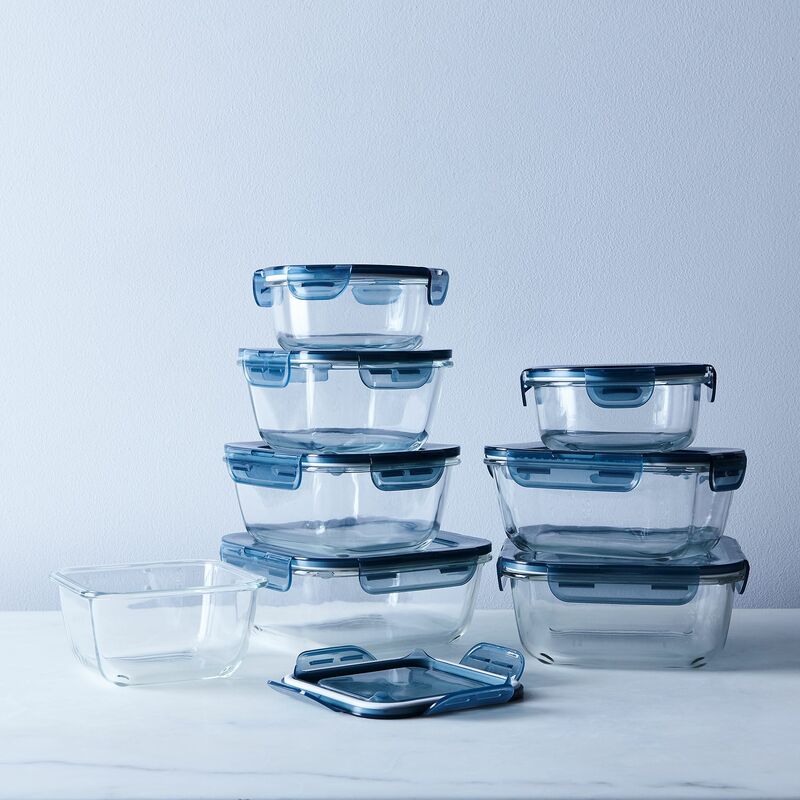 What brand of plastic containers are you using, both the ones with and without handles? The ones with the handles are Cambro; the others are standard take-out containers, I believe. I love your ideas and tips. I have a question: my kitchen has deep narrow shelving. I try to put tall items at the back and then I put a round cake mold with marbles with a second mold one inside, to make a rotating tray. It works, but I feel I loose space. Any suggestions? Hi Marta, I would love to help but am not sure I'm picturing what you describe. With long deep cabinets sometimes you just need to put the less frequently used items in the back, to maximize space. Is there a recommendation on DEPTH of shelves? I'm sure there is a standard, but of course everything can become custom. I wonder just how many rows of jars/containers one can move out of the way to reach something before it becomes an inefficient and cumbersome effort? Ideally, there are no more than 2-3 rows of containers, but since many cabinets have standard depths and the size of your containers may vary, most people just deal with what they have. If I were designing a pantry to be custom made, I'd aim for shelves that held 2 rows of containers. So where do I purchase the spice jars shown in the image? I don't see them on your website. I already have the stainless containers with clear tops and magnets on the bottom. They were an expensive mistake. (I have 80 of them) The seals go bad, the tops crack and the magnets get crud on them despite frequent wiping/cleaning. They tend to spill a lot while in the draw too (bad seals). Great article, thanks! Every time I scrolled down an annoying box popped up. "LIKE IT? SAVE IT!" Even when I clicked on the X it wouldn't disappear. Very distracting from a helpful article. Hi Ellen, sorry about this. It should only appear once -- I'll let our tech team know. Alternatively, if you sign up for an account and log in, you won't see this box anymore. Thanks for letting us know. I only wish one could find more square/rectangular jars - round is so space-wasting, as the cabinets are square, thus more space if square is used! Just like dishes. However, your principles are spot-on! I have been using square Stor-Keeper plastic containers for ice-cream in my freezer. They com in quart, pint and pint and a half sizes with a tight-fitting lid. While I prefer glass for reactive foods, there are excellent for flours, beans, nails and strings, etc. They are available at Ace Hardware stores, you can buy them on-line and have them delivered free for pickup at your local hardware store. They come 3 or 4 to a package. I just ordered a package of each size for under $14.00. I also use pint-size glass containers used for canning. most of the imports, not those from Ball, are relatively squarish. Awesome ideas for living in our motorhome! 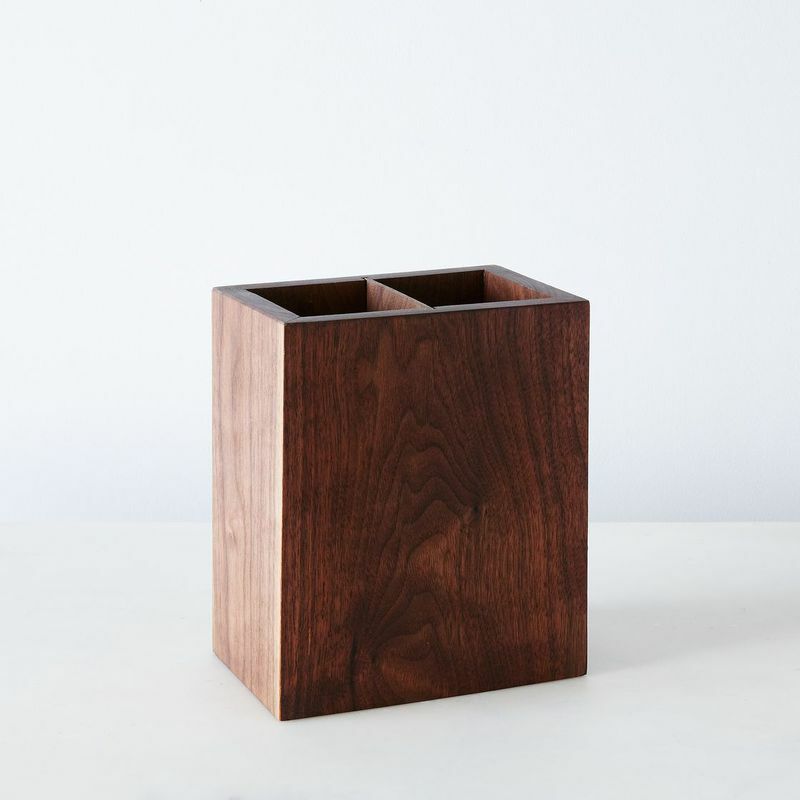 IKEA and Container Stores, here I come. Great -- hope the organizing goes well! Glad you found it! Hope the refitting goes well. 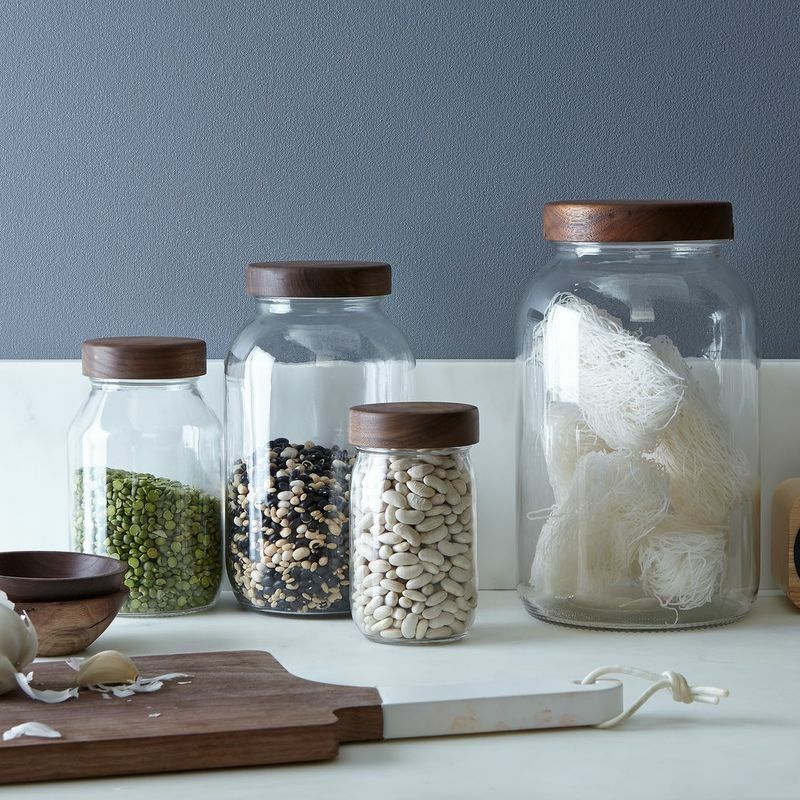 Why buy containers when you can use the glass jars that many different types of groceries are bottled in. Through the years I have used these glass jars. 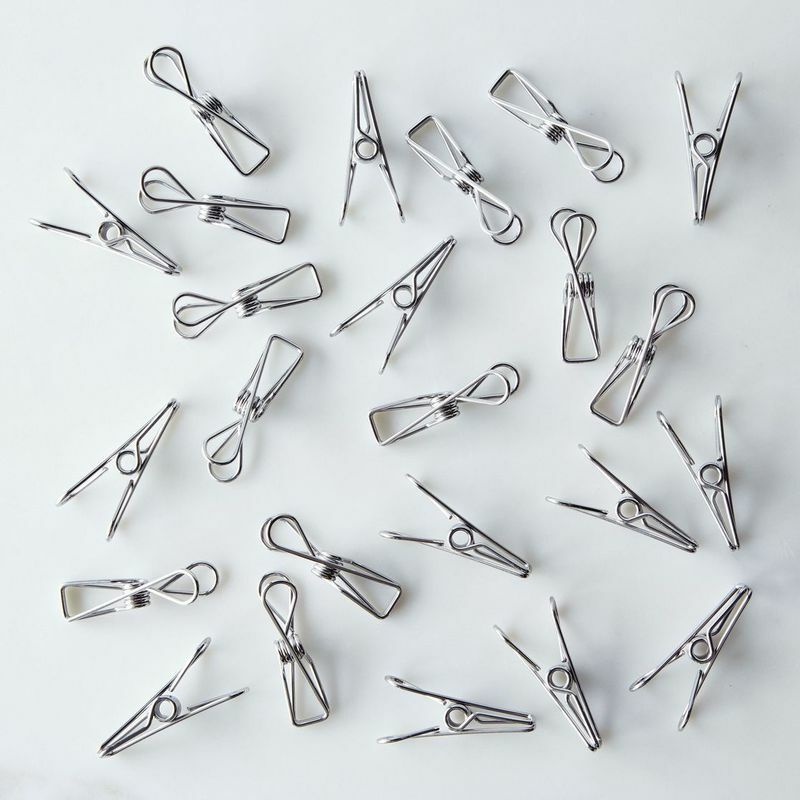 They come in several standard sizes from very large to quite small. Washed and labeled, they offer clear, non-reactive containers that are free! Regarding stepladders -- the recommended footstool type would be a poor choice for anyone unloading a box or jar from an upper shelf. 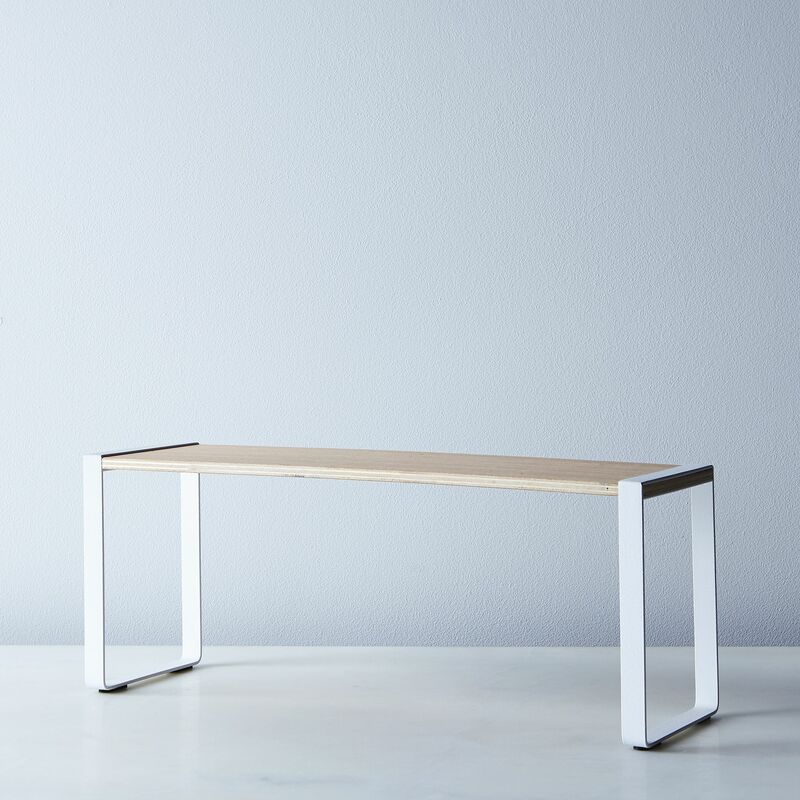 For those with even the slightest balance problem, who has nothing to hold on to, the footstool, while easy to carry around, can be a fall in the making . For anyone my choice is a small stepladder with a bar to hold on to, that folds to a width of 3 to 4 inches for easy storing. This is what we do in our home, too! When you buy the same items consistently, you still get the uniformity of buying a package of the same-sized jars. I use canning jars for my spices. As for labels, I simply typed a list of everything, printed it and used a glue stick (or tape) to apply the "label" on the lid. Just to be 'fancy', I color coded most of them (green for dill weed, red-orange for curry blends, yellow for turmeric, etc.). For practicality, they are all in alphabetical order. Ok this has inspired me. Now can we buy these containers in bulk at a better price anywhere? I looked on Amazon and 30$ for 3 (1 quart with lid) is not a bad price but if you are wanting 10 of them a bulk discount would be awesome..ordering the book to!! Webstaurantstore.com sells Cambro (no BPA) food storage containers and offers bulk prices. A 2-qt container is $3.10 for 6 or more ($3.39 for 1 to 5). Lids are $1.68 for 6 or more ($1.79 for 1-5). Lots of different sizes. Webstaurantstore.com operates as Restaurant Depot if you'd like to see the full selection in person; they have a large number of locations. That Cambro is a great site, thanks, Lynda H. ! Where did you get the labeler to make the spice labels? Thanks! I believe I got it at Staples and it's made by Brother. It also comes with tape widths of 1/2" and 3/4". For the cabinet labels for our new church kitchen (a lot of elderly people help with coffee hour), I used the 3/4" machine and clear tape (so the maple cabinets aren't messed up with white strips. 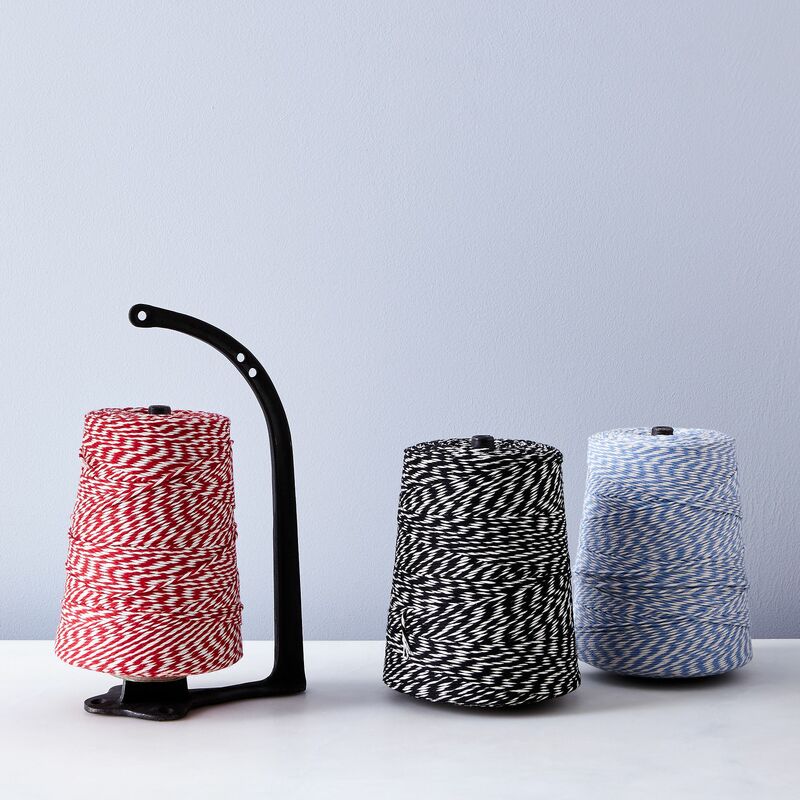 The Brother machines that use the wider tape can also take the narrower. HOWEVER, the smaller machines that take the narrow tape won't take the wider. So be careful at Staples that you get the machine you want/need. Trust me, we now own two label makers. The problem I have with my pantry shelves which, by the way, look just like the ones above your tip #1, is with canned goods. Because the shelves have the wood fronts, I find it difficult to identify the cans in there as all I can see are the tops of the cans. If I had it to do over, I think I would get wire shelving. Call me crazy, but the other thing I've done, where possible, is only use SQUARE containers. I love the freezer containers used for jellies. They come in half pints, quarts and half gallons, and allow me to store things more efficiently than round containers. 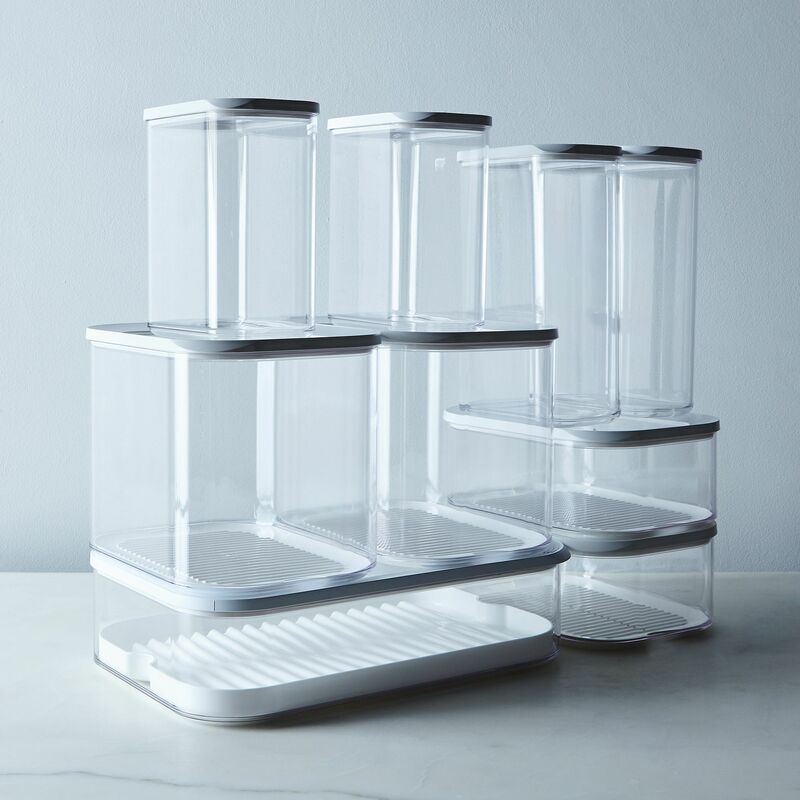 They seal cleanly and easily, are inexpensive and easy to find, keep the foods airtight, and are dishwasher safe. For labels, I use any kind of paper with package sealing tape. It allows me to change the labels, and keep them neat, clean and easy to read. I like the Cambro Square containers for large things like flour and rice. I recently reorganized my pantry and purchased square and rectangular containers. I love how they fit together and don't waste any space. I also recommend making sure your containers are wide enough for your measuring cups or spoons. I used to use mason jars but hated having to either spoon or pour out ingredients from them. I still use them for easily poured items like quinoa and rice, but plan on converting them over to square containers in the future. Great suggestions....I finally grouped all the Asian and Indian pantry ingredients into their own plastic tubs...the dry stuff is in the cool basement and the refrigerated items in the extra fridge. So much easier having all those items in one container to grab..and put away after use.